It's one among the two integrated ayush hospital announced in the Last year budget by Karnataka C M along with Same Integrated Hospital @ Mangalore. Now it's Govt Order issued for establish the Hospital … Spl thanks to All the Dept Officers who struggled for it along with Dr.B.G.Patil, with the Key roll of Mangalore MOs .. This entry was posted in Gadag and tagged Ayush Integrated Hospital. Bookmark the permalink. 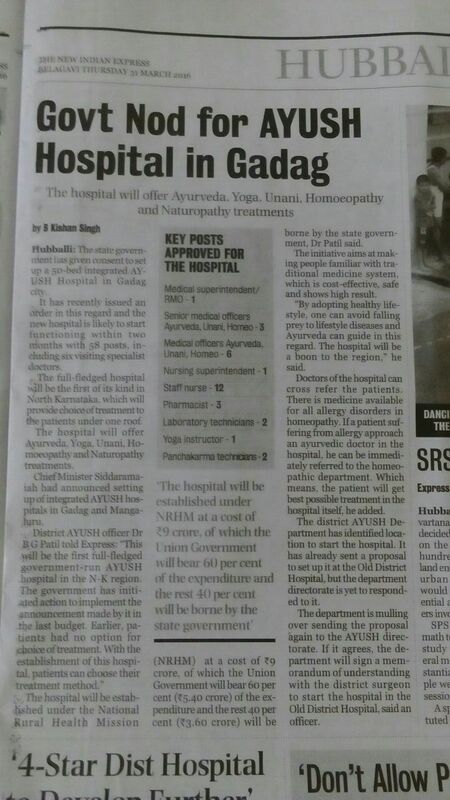 ← Integrated AYUSH Hospital @ Mangalore may gets inauguration by CM in the month of APR 2016.